The Major Crime Section is led by a Staff Sergeant in charge of the overall operation of the Section and its investigations. 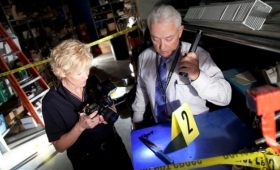 Police personnel include eight Homicide / Violent Crime Investigations and one Historical Case Investigator. The Homicide / Violent Crime Unit members investigate homicides, attempted homicides, suspicious deaths and all deaths occurring in police custody or at a correctional facility, as well as all police officer involved shootings, regardless of whether a death occurs or not. Depending on the circumstances of an incident or file, the Major Crime Section will assist other investigative units of the SPS in high-profile incidents. The SPS Major Crime Section can also be asked to provide oversight to other Police agencies in the event of an in custody death or an officer involved shooting. The Historical Case Investigator manages and continues investigating unsolved homicides.